Russell W. “Rusty” DeMent III is an experienced trial lawyer in Raleigh who is dedicated to defending clients accused of felonies and misdemeanors in North Carolina’s state and federal courts. Rusty continues the family legacy of being recognized by Best Lawyers like his father who was recognized in the first ever Best Lawyers list. 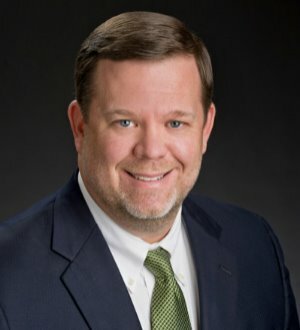 A former Wake County prosecutor, he has the skill and experience to defend clients accused of such serious criminal offenses as murder, assault, DWI and drug crimes in Raleigh, NC, and has enjoyed particular success defending clients accused of driving while impaired (DWI) and other traffic offenses. His professional experience has been recognized by Martindale Hubbell Peer Review Ratings and Business North Carolina’s Legal Elite. Mr. DeMent was a guest speaker in 2010 in a continuing legal education seminar for the North Carolina State Highway Patrol on the topic of DWI checkpoint procedures and related law. Mr. DeMent is known for his ethical, aggressive advocacy and straightforward manner. He says, “I tell it like it is. I won’t hide the ball. If it’s bad, I’ll tell you. If there are some shots, we’ll take them. Everyone goes in with their eyes wide open."